When I’ve rolled home, kicked back and am listening to new music. I’m often buoyed upon a ruminative flow to contemplative plateaus. 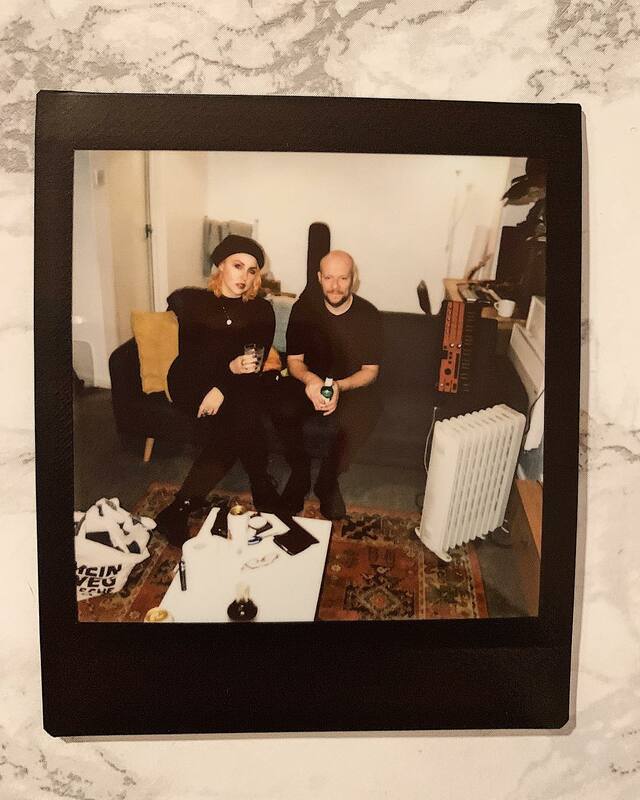 By way of example, this evening I’m listening to two great new tunes from FEHM and thinking, what is it that I love most about the UK indie scene? Well, upon reflection I would say that, for me, that which most accurately characterises the UK scene, is exactly the same as that which I love most about it. At its deepest core, its beating heart, the scene is an artwork sculpted from the hard graft of gigging bands in vans, risk it all for the cause venues bound together by the chattering background of promoters. A rich tapestry of passion commitment, community, creativity and connectivity. And suddenly, as if by magic, the opportunity presents itself..
As luck would have it, its now only a matter of weeks till we launch Imagination Engine presents at the Westgarth Social Club, Middlesbrough. We are ‘insert sincere yet verbose hyperbole’ at having FEHM headline for us and superb support from Holy Braille and Flies on You. Fortune favours the brave good friends. So get your big coats on, tickets bought and come down and celebrate the end of January at the beginning of something we hope this year grows into something we can all look back on with proud hearts, fond memories, loose, somewhat disturbing grins and worn out dancing shoes. 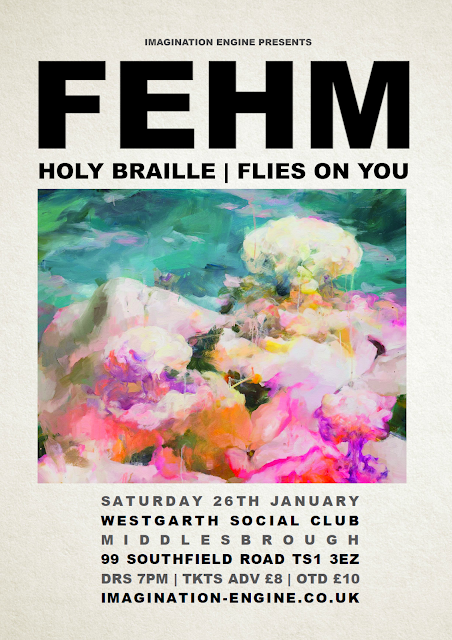 FEHM | Holy Braille + Flies On You @Westgarth Social Club Middlesbrough 26|01|19.